Our goal is to provide you the best prices, fastest turnaround, accurate online results, and outstanding customer service. 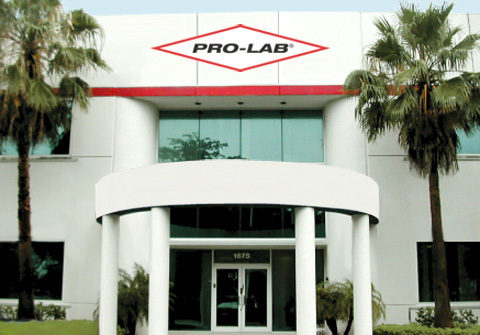 PRO-LAB® is one of the leading providers of environmental laboratory testing services in the world. 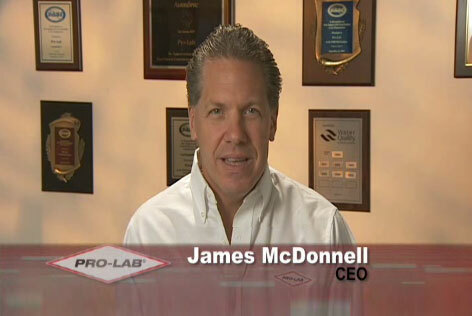 PRO-LAB® offers laboratory testing services for mold, radon, lead, asbestos, and drinking water pollutants. Staffed with Certified Indoor Air Quality Professionals, Radon Measurement Specialists, Chemists, and registered clinical laboratory technicians, PRO-LAB® has the knowledge and experience to assist in any environmental investigations. PRO-LAB® is the first laboratory to offer all lab supplies bundled together with the lab analysis fees for simplified processing. The PRO-LAB® FOURMULA, a system that ensures the timely receipt of your test results. PRO-LAB®’s goal is to provide accurate, timely and reliable data while maintaining the highest level of customer service and technical support in the industry. To achieve this goal, PRO-LAB® has developed a Quality Assurance Program to govern all aspects of the laboratory and consulting services. The Quality Assurance Program is a set of guidelines and requirements for procurement, handling of samples, personnel management, data validation and the systematic approach to laboratory and consulting operations. PRO-LAB® uses Leica microscopes and is technically competent to perform indoor air quality analysis of Fungi, Dust, Pollen, and other airborne particles. PRO-LAB® also uses Beckman LS6500 Liquid Scintillation Counters for Radon analysis and PerkinElmer AA Atomic Absorption Spectrometer with Graphite Furnace for analyzing lead samples. PRO-LAB® also analyzes asbestos samples using Polarized Light Microscopy. PRO-LAB® is AIHA-LAP EMLAP Accredited at the Florida location under the accredited laboratory identification #163230 and participates in the AIHA-PAT EMPAT Programs (Environmental Microbiology Proficiency Analytical Testing).This program has been developed for microbiology laboratories specializing in the analysis of microorganisms commonly detected in air, fluids and bulk samples. This program serves as an external quality control to measure our laboratory’s accuracy and to verify that the performance of our lab is in line with other labs performing the same analyses. Several times during the year, “blind” samples are sent to our laboratory to be analyzed and returned to the proficiency testing provider. These results are then compared to other laboratories using the same testing method and a “report card” is issued to our laboratory. Regular participation in the proficiency program assures our customers of our laboratory’s analytical quality. PRO-LAB® clients include home inspectors, industrial hygienists, environmental engineers, IAQ professionals, remediation companies, air duct cleaners, A/C contractors, builders, other laboratories, realtors, mortgage companies, state DEP offices, state and local public health departments, schools, universities, hospitals, insurance companies, landlords, attorneys, and doctors.